The most common foot fungus is athlete’s foot. Athlete’s foot is most common on the skin between toes but can affect the entire foot including toenails. It will generally start on the skin and work its way into the toenails which can cause the nails to become thick and misshapen. Foot fungus is just like all fungi, mold and mildew. It enjoys warm, damp conditions, such as those found in a sweaty shoe. Sometimes bacteria can grow as another infection further complicating athlete’s foot and making it more difficult to treat. Foot fungus is by far the hardest condition of the foot and toenail to cure. Athlete’s foot gets its name from the athletes who get it from perspiring in their shoes as they compete and then spreading it by walking barefoot in public showers. Foot fungus can be easily spread by wearing someone else’s shoes or socks or sharing other items like wash cloths and towels. People who keep their feet clean and dry typically never have to deal with athlete’s foot, even if they are an athlete. Foot fungus can even spread to other parts of the body if left untreated. The most common places for foot fungus to grow other than your feet are your groin and your arm pits. The transfer of the foot fungus is generally caused by scratching an infected area then scratching another part of the body. Foot fungus can often be very itchy, but can sometimes even be painful. The itching can easily lead to burning or bleeding. Foot fungus can even cause small blisters to form on your feet which can become incredibly painful when scratched or burst. You can prevent foot fungus by cleaning your feet daily with soap and water then drying completely. Changing your socks frequently or switching to synthetic fibers can also help. Getting your feet some air during the day is another great way to help prevent and heal foot fungus. There are several important points to remember when dealing with foot fungus. 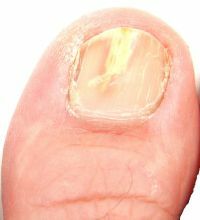 Toenail fungus is considered a chronic condition. This means that once you get it, it’s difficult and time-consuming to be completely cured. This is due to the fact that the fungus grows in areas where it’s almost impossible for medications to reach it. Now fungus prefers a warm moist and dark environment to thrive. Unfortunately, your sweaty feet in athletic shoes are the perfect place for fungus to grow. 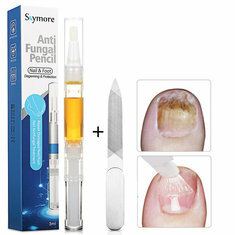 Toenail fungus treatment follow-through is critical for success. Unlike many ailments and conditions, the chronic nature of a fungal infection demands that you follow the treatment regimen consistently on a daily basis. Missing even one day or treatment can dramatically increase the chance of re-infection of already cleared and healthy nail. 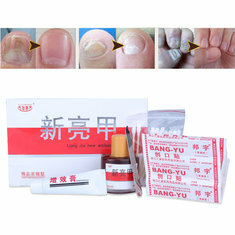 Many a home remedy for fungus toenail is based on changing the living environment of the fungus. 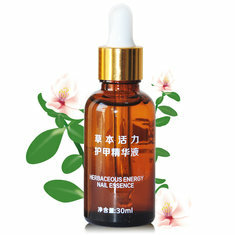 These remedies are focused on increasing or decreasing the pH of your skin and nail. (Acidity- Alkalinity). The medical community has strong anti-fungal prescription drugs that attempt to treat the fungus infection internally. While effective, these medications are also very expensive, may not be covered by many health insurance plans, and require blood tests to check for potential liver damage caused by the drugs themselves. Note that all toenail fungus treatment plans including these expensive prescription medications are all subject to number one above. Foot fungus takes time to cure. While many products can make your infected toenails look better, looking better is not a cure. Do home remedy or treatments work better than prescription drugs available from your doctor? Only you can decide what’s the best course of action in treating your fungal infection. There are many home treatment remedies available but be aware that some don’t work. Then again, the same thing can be said for the strong prescription medications a doctor will prescribe. No medication works 100% of the time for every patient. The difference is the risks associated with taking strong drugs and trying various home remedies.